KIEV, Ukraine -- Ukrainian law enforcement agents have arrested 23 former high-ranking tax-administration officials suspected of helping the government of ex-President Viktor Yanukovych to defraud the state of nearly 97 billion hryvnyas ($4 billion) in what authorities called the largest-ever operation of its kind here. Chief Military Prosecutor Anatoliy Matios said Ukraine's economy had "suffered" from the activities of the officials and warned others that this was only the "first wave" of arrests. 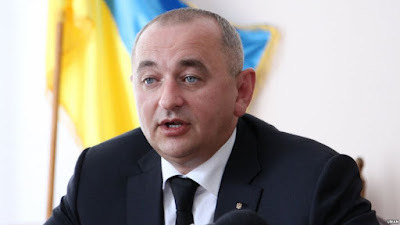 Interior Minister Arsen Avakov and Chief Military Prosecutor Anatoliy Matios told reporters that the former officials were taken into custody over the course of 454 raids in 15 regions across Ukraine on May 24. They said the operations involved 1,700 National Police officers and about 500 military prosecutors. Matios said the raids and arrests were part of an inquiry into the operations of Ukraine's Income and Tax Ministry under its former minister, Oleksandr Klymenko. Klymenko, like his ally, Yanukovych, fled to Russia at the height of antigovernment protests in February 2014. He is believed to be living in Moscow. Matios said Ukraine's economy had "suffered" from the activities of the Yanukovych-linked officials and warned others that this was only the "first wave" of arrests. 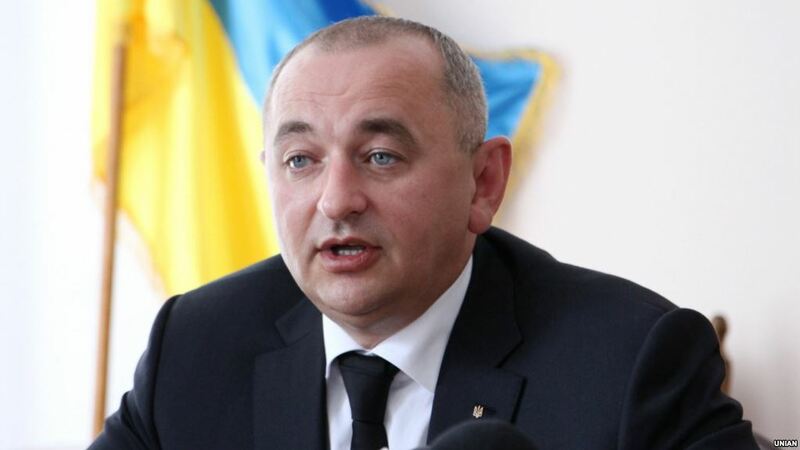 "During the course of the criminal investigation we foresee detaining and charging employees of the Prosecutor-General's Office, Ukraine's SBU Security Service, and employees of the state tax administration," Interfax-Ukraine quoted Matios as saying. Avakov, who called the raid "the biggest anticorruption operation the country has ever seen," said some suspects tried to evade arrest, including one official nabbed at the airport. Matios said some of top suspects were being brought to Kiev by helicopter. "The courts now will become the battleground," Avakov said. Activists praised authorities for the arrests, but noted that the bigger challenge will likely be prosecuting them. Ukraine, which has struggled to combat pervasive corruption since Yanukovych's ouster, has not convicted a single senior-level official accused of corruption since the pro-Western government of President Petro Poroshenko came to power in May 2014.